Navigation Drawer is an android component that is commonly used at the left side of screen. Most of the time, navigation drawer (sliding menu) is not visible, this is visible when we tap the icon on the action bar or swipe the screen from left to right. We know that most of the popular android applications have already introduced navigation drawer (sliding menu) nowadays. After Google introduced new concept called material design with the release of android 5.0 Lollipop, we can easily implement navigation drawer in android application with the help of design support library. This article covers all the things related to android drawer. 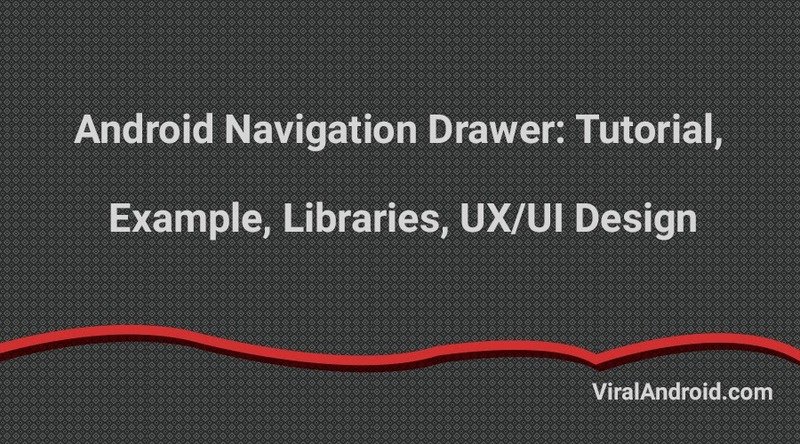 Here, you will learn to implement navigation drawer/navigation view in android application, to use sliding menu (navigation drawer) with WebView and you will find best navigation drawer libraries for android and also will find best navigation drawer/navigation view user interface (UI) design. Learn how to implement navigation drawer (navigation view) in android project using design support library. Here, you will learn to create navigation drawer (sliding menu) with webview. If navigation drawer item is clicked website will get loaded inside your application. Find best and different navigation drawer libraries for your android project. Here, I have collected lots of navigation drawer UI design (screenshot) for android.